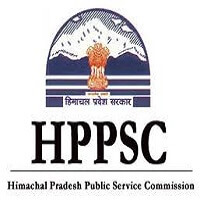 HPPSC Recruitment 2019 – Himachal Pradesh Public Service Commission (HPPSC) Job notifications for 72 Assistant Environmental Engineer, Scientific Officer, Junior Scientific Officer, Assistant Computer Programmer, Executives & Assistant Engineer. The detailed eligibility and application process are given below. Environmental, Civil, Industrial or Mechanical Engineering. Bachelor Degree in Chemical Engineering or Bio-Chemical Engineering. Junior Scientific Officer: 1st Class M.Sc. Degree in Environmental Science / Chemistry/Microbiology with a Bachelor’s Degree in Basic Science from a recognized university/institution as a regular student. Assistant Computer Programmer: Should possess Bachelor Degree in Computer Science or Engineering/Electronics Engineering with Specialization in Computer Programming or MCA from recognized University. Executive (Health Safety & Environment (HSE)): B.Tech./B.E. (Environment Engineering/ Environment Science/BE with 01year PG Diploma in Environment from a recognized University/Institute. Executive (P&A): Graduate with MBA/MSW/Post Graduate Diploma with specialization in Personal/HR or equivalent will be the main qualification. 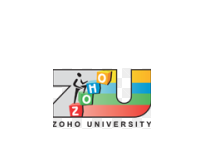 Executive (Law): Graduate with Degree in Law from a recognized University/Institute. Degree in Electrical Engineering or Electrical & Electronics Engineering from a recognized University/Institution of India. AMIE shall be recognized qualification for internal candidates who were enrolled with Institutions. Assistant Environmental Engineer/Assistant Computer Programmer: Below 45 years. 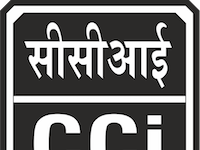 Scientific Officer/Junior Scientific Officer/Executive/Assistant Engineer: 18 to 45 years. Relaxation in upper Age limit: 5 years for Scheduled Castes/ Scheduled Tribes/ Other Backward Classes / Persons with disabilities of Himachal Pradesh. Others as per govt policy. The selection process will be based on Computer based Screening Test (objective-type) or Offline Screening Test (objective/descriptive) followed by Personality test (Interview). Mode of Payment: Online mode through ‘e-Payment’ i.e. 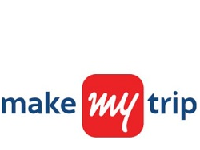 through Debit Card / Credit Card or Net Banking of any Bank. How to apply for HPPSC Recruitment 2019? All interested and eligible candidates can apply for this position in online latest by 13 March 2019.